Ever since the invention of the wheel, people have been racing to be the first to discover the next new thing in the world of automotive engineering. From supercharged engines, to hybrid drive trains, to all-electric cars, the sky seems to be the true limit when it comes to the evolution of the automobile. Now that the all-electric long-range car has been mastered, automotive engineers and tech-gurus are teaming up in droves in order to master the autonomous driving car. It seems that with every passing week, another major car brand announces a strategic partnership with a technology company in an effort to be the first to unveil a mainstream driverless car. 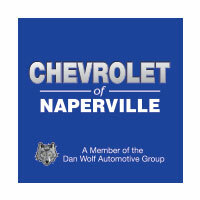 As some of you roll your eyes at the prospect, the fact is that driverless cars are already here, and they are coming to a Chevy dealer near Joliet sooner than you might think. Before we get into the future of driverless cars, and how the technology will soon invade our daily lives, let’s take a brief look at the past of this revolutionary concept. Automotive engineers and car manufacturers began conducting experiments with autonomous driving cars as early as 1925. While that first concept prototype was controlled via a remote control by a person riding in the car behind it, the “Iinrrican Wonder” was the catalyst for a worldwide determination to proper self-driving car technology into the future. In the decades following the first autonomous car experiment, many more took place. With companies from all over the world chomping at the bit to pioneer this life-altering system, it wasn’t until the 2010s that the vision for everyday autonomous driving cars would truly begin to take shape. Today, every automotive manufacturer in the world is getting behind the newest craze in vehicle propulsion technology, and we are as excited as anyone to see who gets there first. While manufacturers in Italy, Panama, and China are working on driverless car technology, it seems that a few key players involved are located right here in the United States. General Motors, Google, Tesla Motors, and Volvo are among the companies most dedicated to this endeavor, with testing prototypes already out on streets across the nation. As the race to sell the first publicly available fully-autonomous car intensifies, so does public concern. The technology is certainly getting more screen time on local and global news channels, most of which focuses on the negative aspects, rather than the positive ones. To help calm the nerves of some rightly anxious people, let’s take a look at some of the most commonly voiced grievances against driverless cars, and see how many of them are true and how many of them are false. True or False: Driverless Cars are Unsafe – True. And False. The number one concern, regarding driverless cars, is that they poise a threat the public’s safety. For current autonomous driving cars, this is more true than false. Because the most recent technology is still so new, there is not one driverless car that is considered safe. Autonomous driving technology is still a few years off from being widely used on public roadways without constant supervision, and you can bet that before lawmakers lessen such strict supervision, those vehicles must first prove the safest on the road. True or False: The U.S. Government is Against Self-Driving Cars – False. In fact, the United States government has announced plans to invest more than $4 billion to fund driverless car technology and research. The push back that people hear in the news, regarding self-driving cars, has more to do with statewide regulations during the testing phase of this new technology. Michigan recently become the most liberal state in the union in terms of engineering, manufacturing, and testing self-driving cars on public roadways. Pittsburgh is also home to a joint venture between Uber and Volvo, where there are self-driving XC90 SUVs as part of the ride-share company’s current fleet. True or False: Driverless Cars Will Save Lives – True. The majority of automotive accidents in the United States are due to driver error, and have nothing to do with a malfunction on the vehicle itself. Driverless cars effectively take out the potential for human error, making them more life-saving and more effective at keeping passengers safe, than any car on the road today. 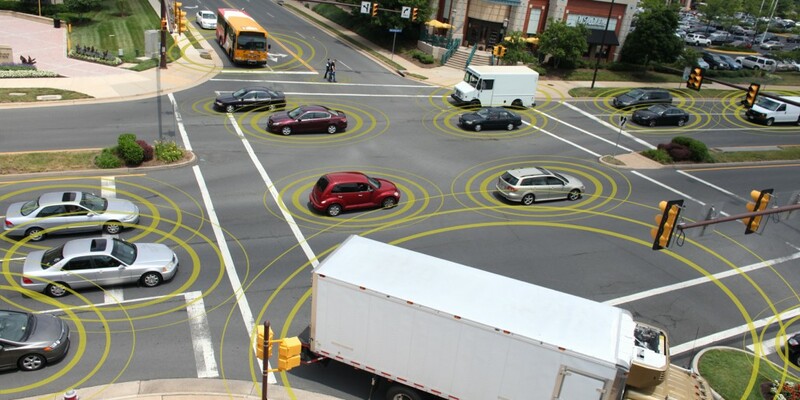 It is estimated that driverless car technology has the potential to reduce traffic fatalities in the United States by a staggering 90%, and save ten million lives around the world every ten years. If that sounds like a lot to you, that’s because it is. Driverless cars may seem potentially scary now, but soon their technology will be responsible for saving about 33,000 lives in the United States every year. True or False: Driverless Cars Can Be Purchased As Early as Next Year – This is an ambiguous statement, with an ambiguous answer. Volvo has been one of the most vocal and most persistent automakers when it comes to manufacturing self-driving cars, and has announced plans to lease self-driving XC90s to customers beginning in 2017. That part of the statement appears to be true. On the other hand, it is also false. Volvo plans to lease 100 of its self-driving SUVs to buyers next year, but only in Sweden, where said cars will only be allowed on a designated 31-mile stretch of road in the city of Gothenburg. The SUVs will engage in real-world traffic situations, and are meant to be an extension of Volvo’s self-driving car tests, rather than a mass produced version of the self-propelled cars. True or False: Vehicles Sold Today are Already Autonomous: True. While no vehicle currently sold at dealerships is fully autonomous, most are at least semi-autonomous. Systems such as adaptive cruise control, automatic parallel parking, and automatic emergency braking, are all considered autonomous technology. If you are on the fence about whether you would benefit from this autonomous automotive future, odds are you are already a happy consumer of some version of it. The latest automaker to announce a driverless car is General Motors. The all-electric Chevy Bolt is currently being tested in Detroit for self-driving capabilities, and will likely be the first model under the bowtie brand’s lineup released with this technology. As we eagerly anticipate the future of autonomous driving, for now we will get back behind the wheel of our car, and dream of a day where we can nap during our daily commute into the office.